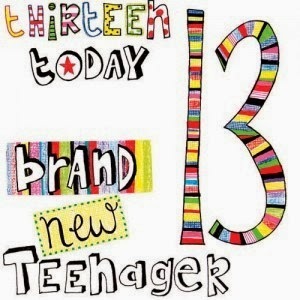 Today, you turned 13. A teenager! I can't help but think of that snowy morning when Mimi, Papa and I got the call from Mom and Dad, that you were on your way. We excitedly waited for you to arrive. And then you did. 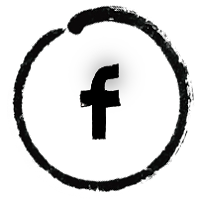 You were here, and we all were profoundly changed. You made me an Auntie and there is nothing in my life that makes me prouder than being your Auntie Kelly. Kiley, I have been blessed to watch you grow from a precious, happy snuggle-bug of a baby to a sensitive and inquisitive toddler who loved her Dogbaby and still loved to cuddle. You grew from a wonder-struck, creative and lively child to the kind, intelligent, sensitive, funny, strong, beautiful young lady that you are today. One day, Kiley, you may be blessed to experience love as a mom or, as an Auntie yourself. You will experience pure love that flows from your heart to them. You will love that person unconditionally. At times, you will feel like your heart will burst with love and pride. That love will make you laugh and cry. The very thought of them will bring a smile to your face and warmth to your heart. You will want for them to always be safe, be happy and feel loved, wanted and appreciated. You will want all of their dreams to come true and for them to have the best that life has to offer. You will want them to laugh with you like their best friend, and share secrets like a sister. You will be honest with them and give your advice when asked. You will be firm when it's needed and silly when it's time to play. And you will understand that the most precious gift is time with them. You will want them to understand that they have the capacity to change the world, simply by being who they are and doing what they know is right. 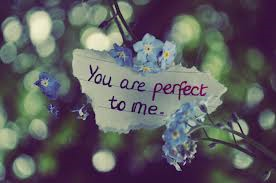 And you will want them to know, without a shadow of a doubt, that they are whole, perfect and complete, just the way they are. Because that, Kiley, is how I feel about you. No family is perfect. We all have our faults. We make mistakes along the way; it's what families do. But despite the hiccups along the way, what binds us together is love. We always have each other, and thanks to technology, we're just a Facetime away. So, Kiley, on your 13th birthday, I celebrate you. I am so grateful that you are you and I am your Auntie. You are loved more than I can ever express in words. Oh Kelly, does this come with a box of tissues? I was tearing by the time I reached the second paragraph of this shared letter/post to Kiley in celebration of her 13th Birthday! 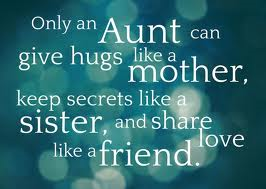 I was blessed with wonderful Aunts, two of whom were among the most important people in my life, still to this day!!! Even though one of these has passed, I continue to think of her all the time and appreciate the love she shared with me, just as you clearly do for Kiley. 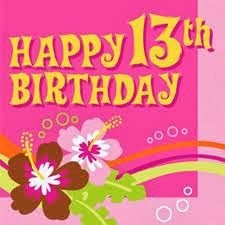 Happy 13th to Kiley! 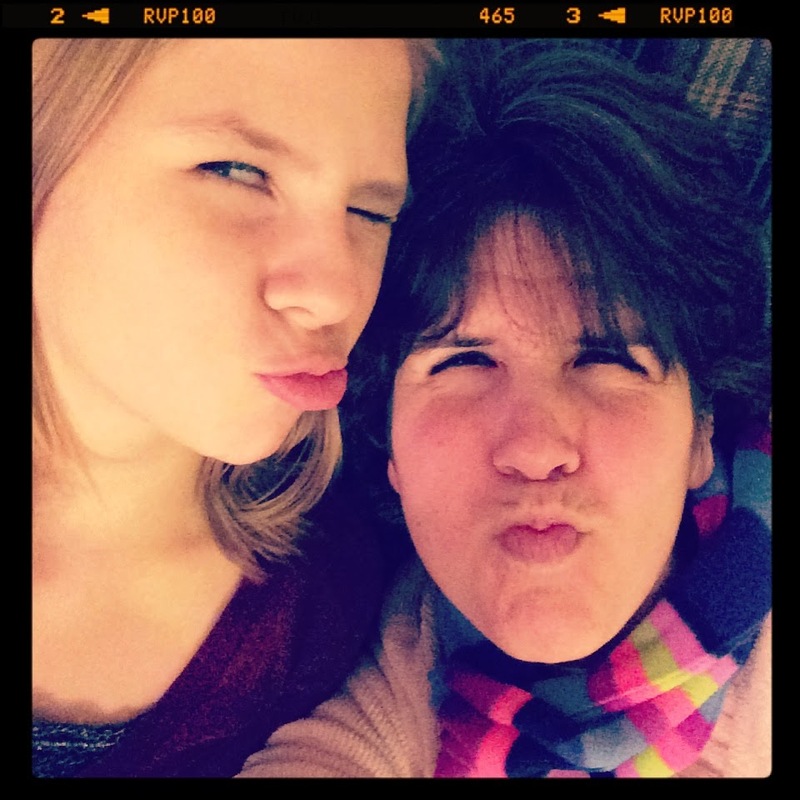 And Kudos to a loving, adoring, Aunt who I am certain inspires her! Thanks so much for sharing! Peggy, thank you so much for your kind words. Kiley is pure joy in my life...like a pulse, she gives my life a sense of purpose I otherwise would not have had. Her laugh makes me laugh, her sadness breaks my heart. Her accomplishments shine like the brightest stars and her smile and cuddles (blessed to still have at 13) make my heart so full, I often think it will burst. I hope I can continue to be someone who is a place of love for her for the rest of my life. Thank you for sharing your love for your Aunts. Clearly, they were and are wonderful women who simply loved, adored and cherished you for you are. It sounds like you were as blessed as they were. Thank you again for sharing this. It means the world to me. What a great memory for her to always keep. Being an Auntie is the best thing ever. Being able to watch them grown and coming to be the person they grow into is such a sight to watch. Hope she had an amazing birthday! Thanks, Kerry. You're right! Being an Auntie is THE BEST! It has been such a privilege and treat to watch her grow into the amazing young woman that she is. Such a joy!